One of the most misunderstood and confused the concept is a difference between Grounding and Earthing. There is no major difference between earthing and Grounding, both means Connecting an electrical circuit or device to the Earth. 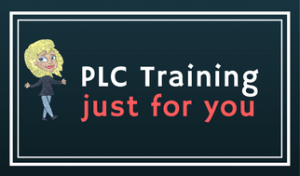 This serves various purposes like to drain away unwanted currents, to provide a reference voltage for circuits needing one, to lead lightning away from the delicate equipment. Even though there is a micro difference between grounding & earthing. 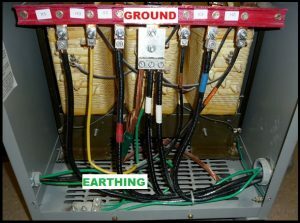 In this article, we will go to learn the difference between earthing and Grounding. 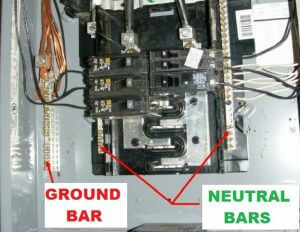 The Neutral and Ground are generally connected together at your service panel, not at your devices. 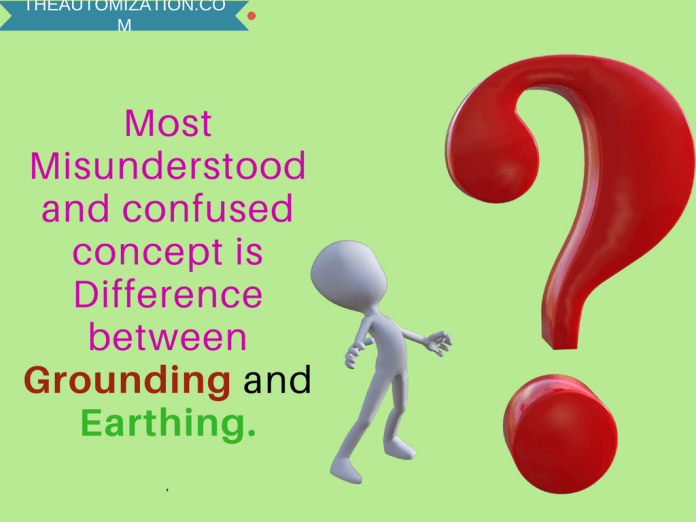 Earthing means connecting the dead part (the one which does not carry current under normal condition) to the earth. For example electrical equipment frames etc. 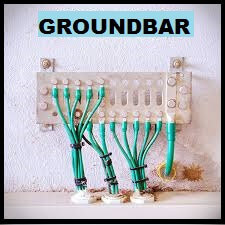 Grounding means connecting the live part (the one which carries current under normal condition) to the ground. For example neutral of the transformer, 3- phase star connection etc.Earthing work in under fault condition these parts may attain high potential earth. so any living being touching these parts will be subjected to the potential difference which may result in a flow of current of such a value which may prove to be fatal. Grounding is done for the protection of power system equipment and to provide an effective return path from the machine to the power source. discharging electrical energy to earth. During lightening dangerous high voltage can develop in the electrical distribution system wires. Grounding provides a safe return path around the electrical system of your house thus minimizing damage from such occurrences.